Let students design a robot, a safer car, or a new game! Like real scientists and engineers, students investigate real-world phenomena. 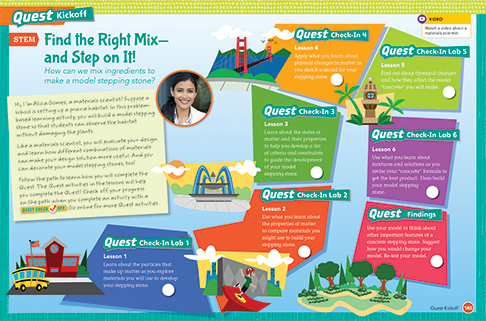 Elevate Science anchors each topic of instruction with a Quest activity. The Quest engages students in phenomena that directly connects to core ideas. This is phenomena-based learning at its best! Students work to solve real-world problems and figure out solutions. elevate thinking, elevate results. 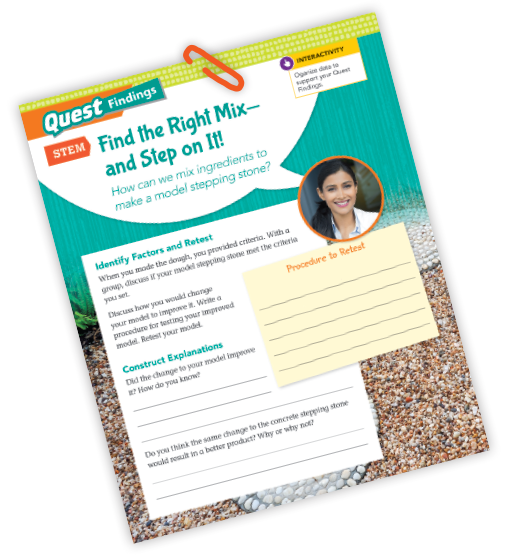 Quest activities anchor each topic. Students investigate a natural phenomenon using scientific procedures and engineering practices. There’s not a quick answer. Quest Connections encourage students to explain, observe, and keep figuring things out. The Quest phenomenon connects learning across the entire topic. 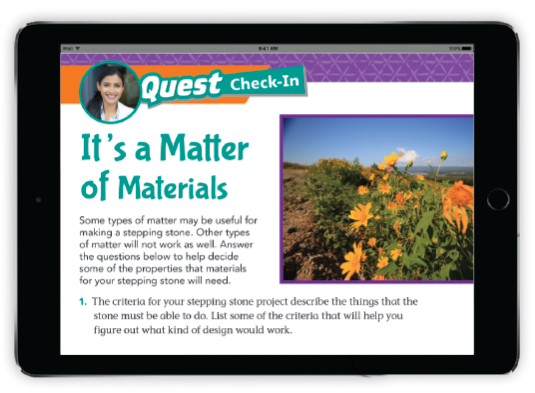 The Quest engages students in the new Science Standards. Are students mastering the core ideas? Quest Check-ins help ensure the activities are academically productive. At the close of each topic, students synthesize information and construct explanations as they complete their Quest. What did they observe? What did they figure out?